I'm going to make this a quick one (just like the rest!). Ha! 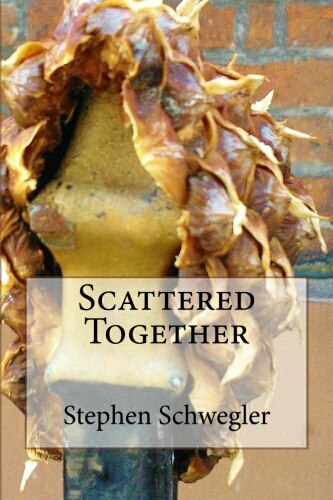 Anyway, Scattered Together has been out for a few months now. If you haven't picked it up yet - and why not? - you should do so. 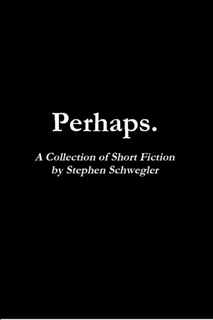 Also, a second edition of Perhaps. was quietly released a little while ago. It's a bit shorter (saving trees! ), cheaper (saving YOU money) and now comes with a preview of Scattered Together. For those of you that already own the first edition, don't worry! There is really no reason for you to pick this up, even less so if you've already bought Scattered Together. 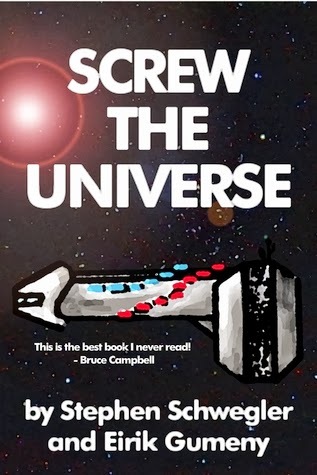 And don't forget about Screw the Universe! Co-written by myself and Eirik Gumeny. You should also pick this up too. And Eirik's Exponential Apocalypse series! He's even funnier than me! Seriously. Do it! Do it! Do it! Now, on to future stuff! Personal health and international visa issues aside, a lot has been happening on the writing side of things. Bullet list? Bullet list! Working on a potential book-length piece called "Give Way." We'll see if I get enough pages to go from quotes to italics with this one (almost got there with "Earth Creature Warriors"). It's inspired by a playlist I made on my phone one time. It's mapped out, but not much has been done in terms of quality writing. Next will actually be a novel. Yay! It's called Gag. It's about a man and his panic attacks. This one is complicated. There'll be a post soon explaining in more detail. Planning to expand the Captain universe a bit. More enemies, more heroes. Basically more everything. Except pictures. Only words. Unless someone wants to draw for me. I'm totally down for that too if anyone knows anyone interested. Eirik Gumeny and I have been up to something as well. It's like the previous bullet point, but a bit more... personal.